HomeBlogTechnologySkate Case a wooden iPhone case made from skateboard scraps. 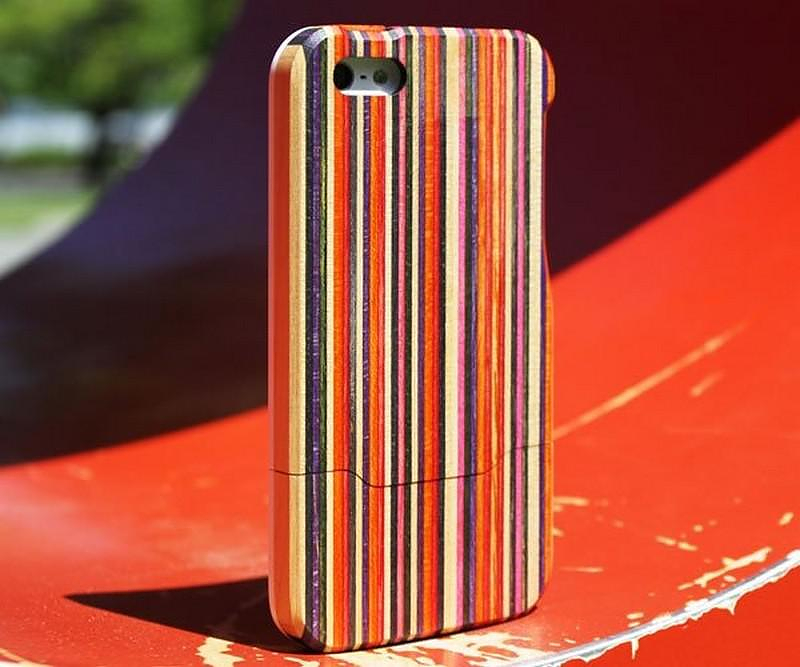 Skate Case is a carefully milled and finished by hand wooden iPhone case by Grove. Each Skate Case is made from recycled skateboard material and rubbed with citrus oil to bring out the unique coloring of the wood. When skateboard manufacturers build skateboards, there are plenty of leftover materials and scraps that go to waste. 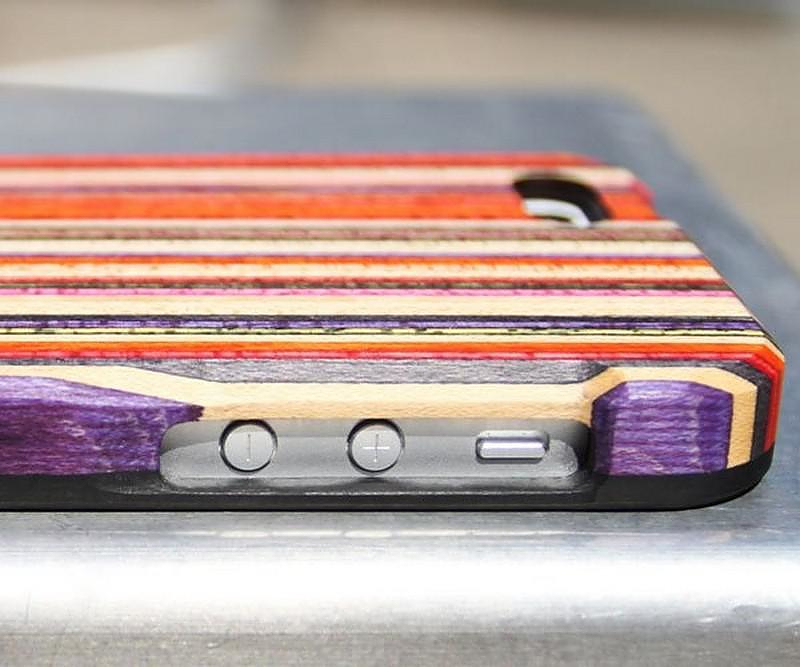 Grove rescues these materials and works with MapleXO, a company that sells jewelry made of old skateboards, to create recycled iPhone cases. Each case is made of random salvaged material and this means that if you buy a Skate Case, no one in the world will ever have the same case as you. In essence, they take thin wood strips and laminate them into a single block. From there, the team mills the case from that single block, and then hand-files the fine details like the docks and buttons. Finally, Grove sands down the case and rubs it with citrus oil to bring out the unique coloring. 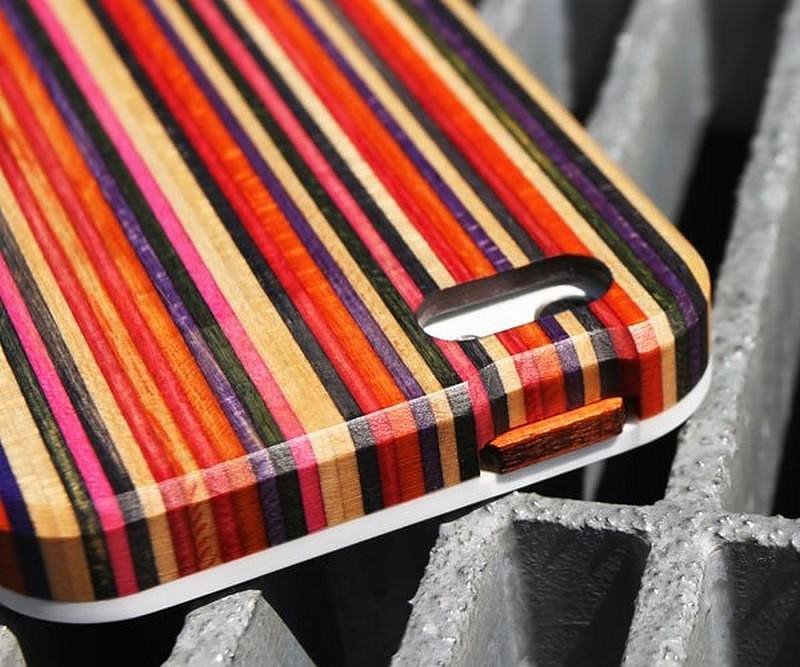 The iPhone recycled case Skate Case is a two-piece case that slides on, with holes for the 3.5mm headphone jack and charging port, as well as a wooden button for the lock button up top. 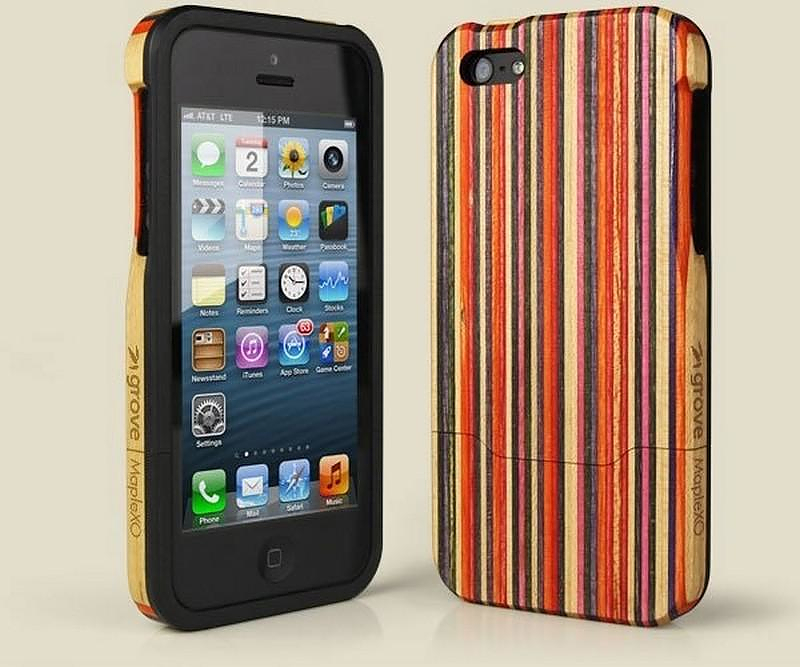 Clearly, aesthetic quality isn’t really an issue with the iPhone recycled case Skate Case, but what about durability? 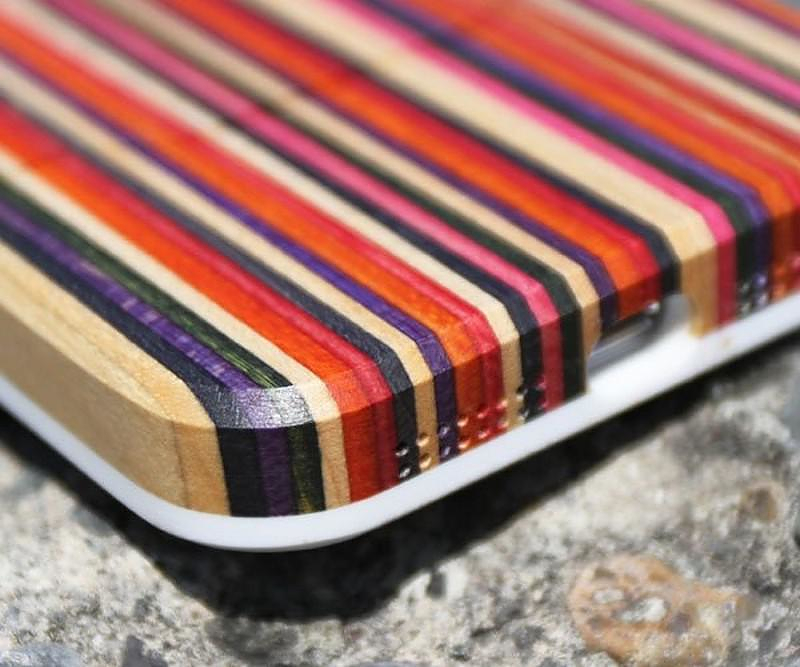 According to the founders, the iPhone recycled case Skate Case is made with a solid surface core that sits underneath the laminated maple, which helps to protect your phone. Grove is a Portland-based manufacturer of cases for iPhones, iPads, and other accessories. Their signature product are Skate Cases.